I sell restored and/or modified AR and Thorens turntables. See the sales page for the latest offerings. If you own a mid-80′s AR turntable, consider upgrading with the time tested modifications available here. I offer original Thorens and AR parts and upgrades in my eBay store. For additional Thorens turntable parts, visit the link above to Vintage Thorens. If you need your AR or Thorens Turntable restored to its former glory, please check our Restoration Service page. I offer consultations to help buyers weave their way through the maze of vintage turntable possibilities. I can help you decide what table is right for you based upon your present components, your listening habits, and your budget. See here for more details. I buy used Thorens and AR turntables. Email for details. May 7, 2016~I have scaled back sales of many AR modifications as George Merrill has started to offer them again in his Gem Dandy site. January 1, 2015~Stopped selling restored Dual turntables. Just too many things that can go wrong in transit, unfortunately. 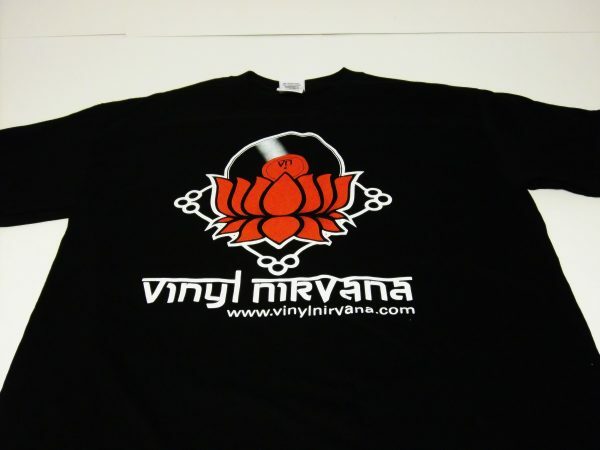 February 4, 2013~Vinyl Nirvana featured on NH Chronicle! Here’s the link! January 2, 2013~Vinyl Nirvana awarded an “UN Award” by TONEAudio. December 26, 2012~From this point forward, for every turntable sold with a custom wood plinth, a donation will be made to Trees for the Future. August 9, 2011~Introducing “Tip of the Week.” See the left menu. June 3, 2011~Price Break on Merrill-Scillia Lead Mats, now $80 shipped. Lowest price ever! May 29, 2011~Announcing a sister site, www.vintagethorens.com dedicated to selling vintage Thorens parts to fellow Thorens owners/restorers. Take a look. April 22, 2011~Now offering an AR Turntable Basic Service Kit. See here. April 9, 2011~New on the AR DIY page: a number of DIY videos. More coming soon! April 7, 2011~Now offering a cartridge mounting screw kit for AR XA and XB! April 5, 2011~Due to increased fuel prices in turn increasing shipping charges, I am no longer able to include shipping in my vintage turntable sales. April 4, 2011~Added a video of installing the upgrade motor. March 29, 2011~Added a page on Repair/Service and on Turntable Consults. See left menu. February 19, 2011~Finally, a page devoted to my Merrill Heirloom restoration done by Anthony Scillia. February 5, 2011~New testimonial added from Ed in NJ. See here. January 27, 2011~If you enjoy the website, you might consider joining our Facebook page by clicking on the link to the left, under the side menu. January 22, 2011~Sold a turntable to Ben Folds in the fall and received a very kind testimonial today. January 21, 2011~Introducing a new Upgrade Stud Kit specifically for the XA and XB. See here. January 16, 2011~Announcing a limited time introductory offer on the GEM Dandy AR Replacement Motor, $195 shipped to lower 48 states. See here. Also, now offering the GEM Dandy Record Cleaning Apparatus. January 13, 2011~A very exciting day, indeed. Introducing an upgrade motor for the mid-80’s ARs that is a drop in replacement. Check here for details. January 12, 2011~New site design! I hope you enjoy it. Please email to report any dead links or other anomalies. Many thanks to Matt Spangler for the wonderful new banner!! Finally, thanks to Andre Gagnon, my website developer. If you like what you see, contact him via his website.